This set combines a challah board and candlesticks. The challah board has topographic levels corresponding to the fine grain of the reclaimed elmwood. 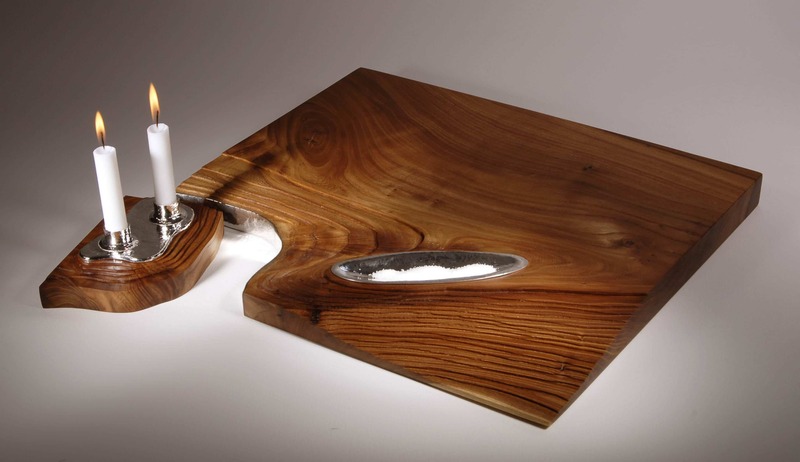 The sterling silver candleholders nestle into the board during the week, then separate for lighting on Friday night. 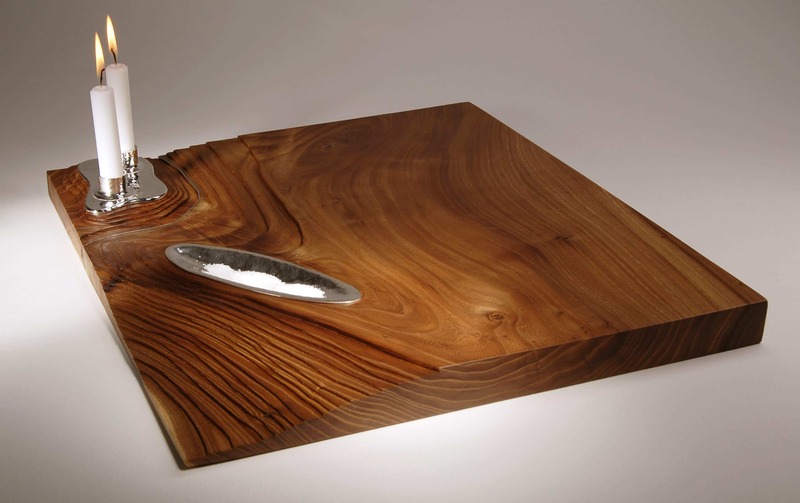 A sterling silver salt cellar integrated into the board completes the composition.